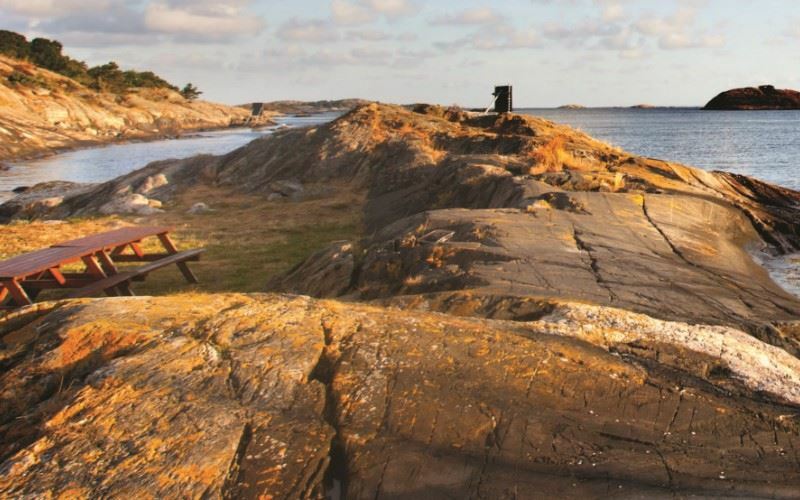 With up to 20 hours of daylight during the summer months, a pleasant coastal climate, a coastline brimming with charming villages and the chic city of Gothenburg, there is much to enthrall and spellbind visitors to the West Coast of Sweden. On arrival at Gothenburg Landvetter airport, you will be transferred to the Vanilla Hotel in the heart of the city. Overnight at the Vanilla Hotel, Gothenburg and The West Coast. Day at leisure in Gothenburg. Opportunity to explore Sweden’s second largest city and its attractions. Popular attractions with the Sunvil team include the Botanical Gardens, which boasts over 16,000 species of flora and the largest collection of tropical orchids in Sweden; the Museum of Art and the Museum of World Culture. Entrance to these attractions, plus Paddan canal cruises, a ride on a vintage tram, city bike rental and more are offered free of charge with the Gothenburg Card (included in your holiday package). Free time in Gothenburg, or an opportunity to use your Gothenburg Card to travel further afield; all public transport is included in the Gothenburg region which includes access to the city’s archipelago and the island of Marstrand. Marstrand, 71km north of Gothenburg, is a must-see destination on the West Coast. This pedestrianised island is a paradise for sailing enthusiasts and is dominated by Carlsten Fortress (complimentary entrance included with the Gothenburg Card). Visit during the summer months (Jul-Aug) and discover an island humming with life and a holiday atmosphere. Out of season, Marstrand is a tranquil island whose narrow cobbled streets and charming location justify a stop. Other sites of interest, surrounding Gothenburg include Gunnebo Manor House and the Älvsborg Fortress. Both attractions are included on the city card. After breakfast, self-transfer to Gothenburg central train station. Today, you will journey northwards to Strömstad (c. 2 hours journey). On arrival at Strömstad, walk to the harbourfront and catch your ferry to the Koster Islands, Sweden’s first Marine National Park (c.45 minutes journey). On arrival on Sydkoster, the southern island, take a short walk to the Koster Hotel. Overnight at the Koster Hotel. Days at leisure on the Kosteröarna. Comprising of two inhabited islands, South Koster (Sydkoster) and North Koster, and a scattering of smooth bedrock islets and skerries, the Koster archipelago is the highlight of any trip along the Bohuslän coast. South Koster, the largest island and the location of your hotel, has a gentle terrain of lush green countryside, waterfalls and woodland crossed by winding roads and paths. Hire a bicycle from the Koster Hotel and explore the beach at Kilesand, the communities of Langagarde and Breviks whilst enjoying wonderful panoramas over the surrounding skerries and islets en route. In comparison, the tranquil North Koster island is wilder in its appearance than its neighbour. Its dramatic landscape of heather-clad moors and woods are best explored on foot from the harbour at Vastra Bryggan - from here a small boat connects the North and South islands, and also links North Koster to the mainland. A highlight of this 4km2 island are the ancient lighthouses that have laid dormant for over 100 years but have now been restored and are back in operation. After breakfast, take the ferry to Strömstad and then continue your journey by train to Gothenburg. On arrival at Gothenburg train station, you will be transferred to Gothenburg Landvetter airport for your return flight to the UK. The Vanilla Hotel enjoys a tranquil position in the heart of Gothenburg. The bustling Avenyn is just a few steps away and the cosmopolitan pedestrian shopping streets, city museums and the beautiful gardens of Tradgardsforeningen Park are all close at hand. Built in the 19th century, the hotel has been carefully restored and now offers modern, comfortable accommodation in the heart of the city, just a 10 minutes walk from Gothenburg Central Station. Located next to the hotel is the Café Vanilj, which serves light meals and freshly baked pastries and during the summer months guests can enjoy their meal in its’ delightful cosy little courtyard. Guest accommodation and the hotel reception is located on the first and second floors of the building - accessed by steps. No lift. Perched on the waterfront of Sydkoster, a stunning island in Sweden’s first Marine National Park, is the recently renovated Koster Hotel. Perched on the waterfront of Sydkoster, a stunning island in Sweden’s first Marine National Park, is the recently renovated Koster Hotel. Unspoiled archipelago landscapes, crystal clear waters, traffic free roads, and quaint communities are bountiful all around, making the Koster Islands the ideal choice for a natural, active escape. Located only 100m from the harbourfront this delightful hotel has spectacular views across the sea and overlooks the fishermen’s huts by the port. A hotel has stood on this site since 1905 and a number of artefacts from the hotel over the years, plus the original facade remains. Inside, the rooms are simply decorated in a traditional or fresh maritime style. To be on the Koster Islands is to be out-of-doors, whether on a seafood fishing trip, bicycle tour, walking, diving, kayaking or on seal safari. You may even choose to just sit on the deck and absorb the wonderful scene and lively summer buzz. The Koster Hotel is included in our 'Discover the West Coast by public transport' itinerary.